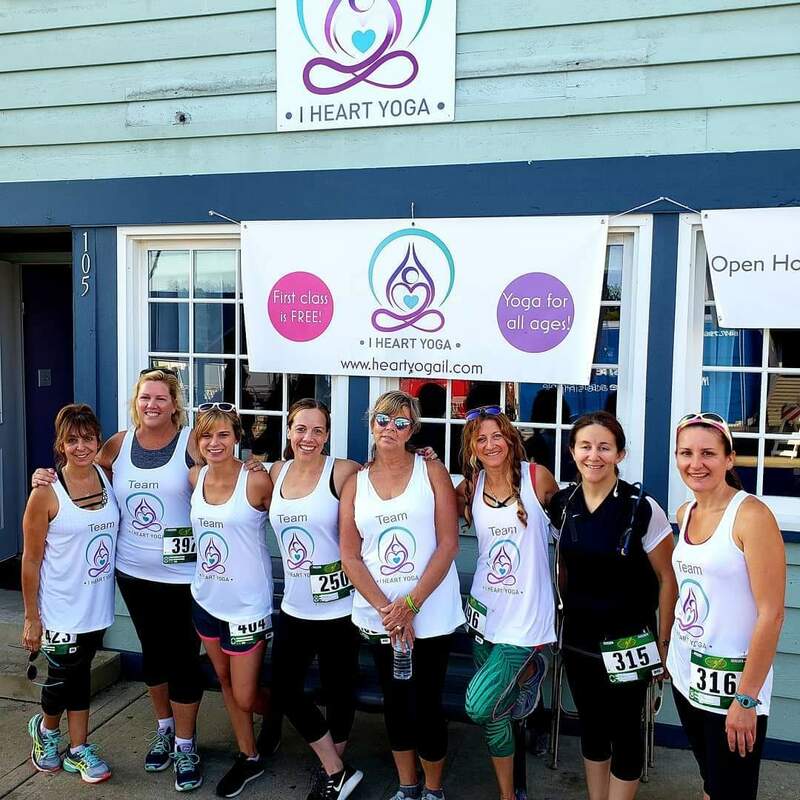 I Heart Yoga is a close-knit yoga community that offers a variety of classes for men, women and children at our studio located in downtown Cary, Il. 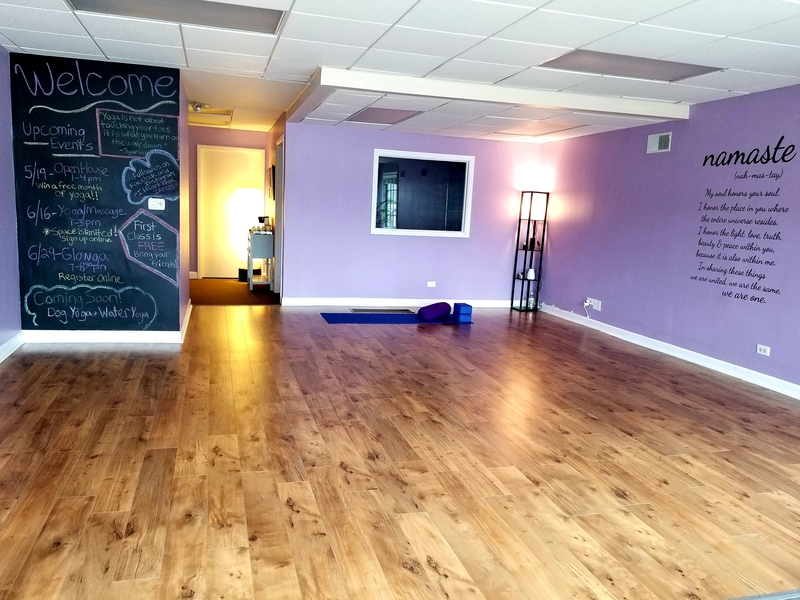 In addition to offering classes and private sessions in our studio, we also offer yoga and personal training sessions at your home, office, school and more. 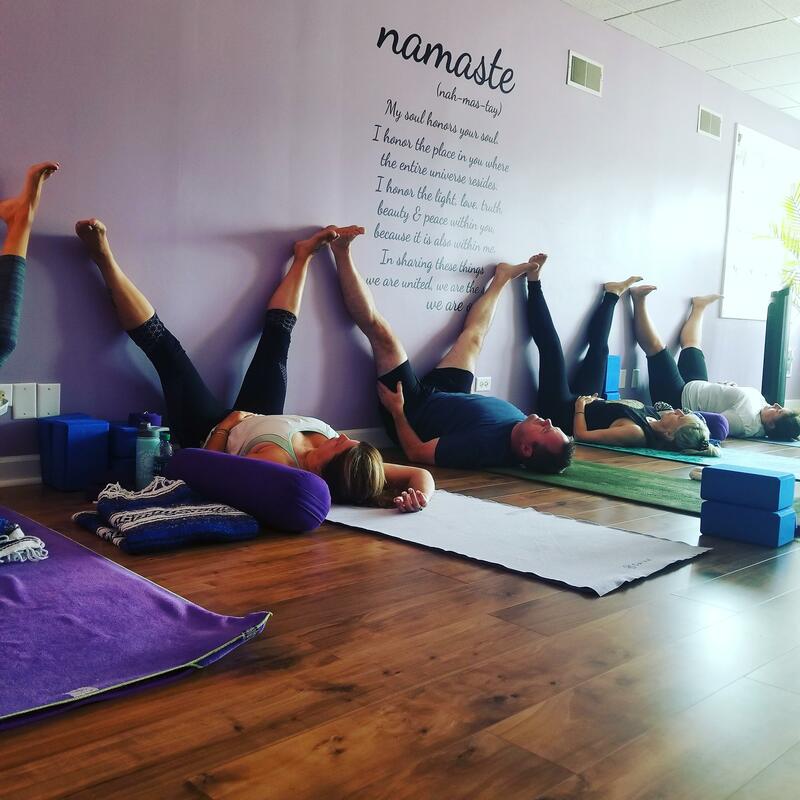 We care about our students and want their experience at I Heart Yoga to be a positive one whether you’re new to yoga or have been practicing for many years. Your first class at I Heart Yoga’s Studio is always FREE! Walk-ins are always welcome unless class notes that pre-registration is required. We recommend that all students start with private yoga. This allows us to get to know you, learn about your physical capabilities and go over proper form and technique while being available to answer any questions you may have. To have fun! And to feel more open, stretched and relaxed when you leave. A typical class begins with warm-ups before moving into standing poses, balance poses, abdominal exercises, hip and hamstring openers, and back-bends. Every class ends with a brief resting period called savasana. Wear comfortable clothing; something that stretches and that you can easily move in. Demonstrates how to live in the present moment. For more events visit our Events/Workshops page!